Any innovation effort has as its focus, the object of attention and effort, a new entity to be introduced into the world. There are many names for this entity – product, service, offering, solution, process etc. – each of which has a connotation that affects how the new thing is perceived. In recent years, there has been much discussion about Design Thinking and Business Model Innovation where the object of the innovative effort is an experience or a Business Model – an intangible collection of rules and relationships that determines wither individual or organizational action and behavior. It would be nice to have a term that encompasses all of these various meanings and can be universally used when discussing all of the various forms that innovation takes. There is such a word that has been being used more and more lately and that word is ‘artifact’. The word ‘artifact’ comes from the latin arte “by skill” + factum “thing made” and was used by Herbert Simon in his 1969 book, The Sciences of the Artificial, to refer to phenomenon or entities that are ‘artificial’ in the sense that they are contingent upon a designer (as opposed to natural phenomenon). Here, the term artifact refers to any human construct that produces an outcome or experience that is measureable and meaningful to oneself or others. 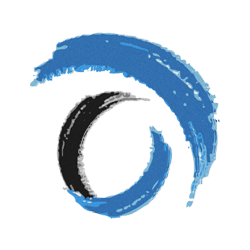 Artifacts include not only the products and services we normally think of when we consider the term ‘innovation’ but they also encompass rule-systems such as business models, organizational structures, and operations to produce and deliver other artifacts as well as legal, economic and other social systems used to organize human behavior. The fact that one of the possible artifacts created by individuals or organizations can be another organization (or a change to an existing organization) makes the system recursive and self-referential. This in itself has some interesting implications that will be explored at a later time. The term ‘artifact’ is necessary because it acknowledges recent thinking that the objects of innovative efforts are not just atoms and bits (see James Gleick’s ‘The Information’ for a fascinating history and description of the relationship between ‘its and bits’), but also rules. By encompassing rules as a foundational component, along with atoms and bits, the artifact expands our perception of what a new innovative entity can be. Suddenly, no longer are our products and services mere configurations of atoms and bits, they are now comprehensive designs of the entire human interaction with the new thing – including the rules by which the new thing is used and experienced. 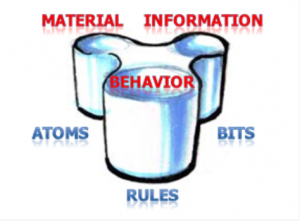 The figure below depicts an artifact as having a tripartite structure consisting of atoms – which comprise its material aspects, bits – which comprise its informational aspects, and rules – which comprise its behavioral aspects. The implications of this perspective are clear. Any and every time something new is created, it contains within it, not just the physical and informational forms of its existence, but also the implicit and explicit rules by which it is experienced. Take the Kindle as an example. It is a clearly an artifact that is comprised of a complex web of physical and informational components (technologies). But it is also an artifact that has built into it a complex web of rules. How books are purchased, how they are accessed, read shared (or not), archived, indexed, searched, etc. are all sets of rules that are just as much a part of the Kindle’s design as the screen or the content of books in its memory. The inclusion of ‘rules’ within the boundary of the artifact definition creates a conundrum. 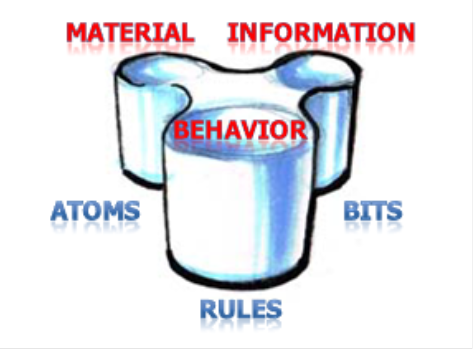 Typically, the definition of technology includes atoms (material) and bits (information) but not rules (behavior). Do we now expand the definition of technology to include rules or leave rules (and behaviors) as their own separate domain? A strong argument can be made to include rules within the definition of technology and make them an explicit object of technological study and creation, just like atoms and bits. One could argue that this is exactly what is behind design thinking and business model innovation. Whether or not we expand the definition of technology to include rules, however, does not affect the fact that we are (as we must) paying more explicit attention to the rule components of the artifacts we create and innovate the rules of the artifact just as we innovate the atoms and bits.